Celebrating my 29th birthday today with this fresh peach icecream. It is a no churn treat and quite easy to whip up. Making icecream at home takes more time but most of it is not an active time plus all the steps are very easy to follow and the end result makes it totally worth it. 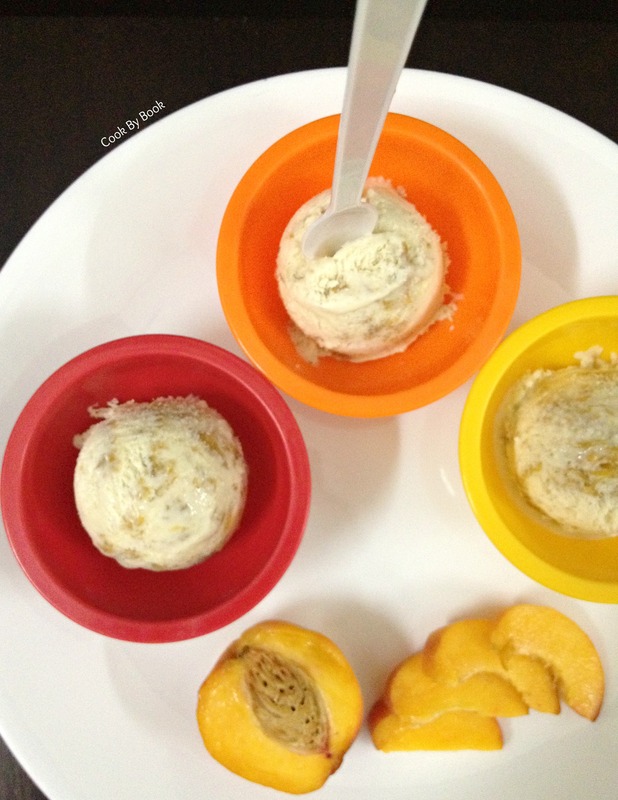 This icecream is a peach lover’s dream with peach chunks in every bite. 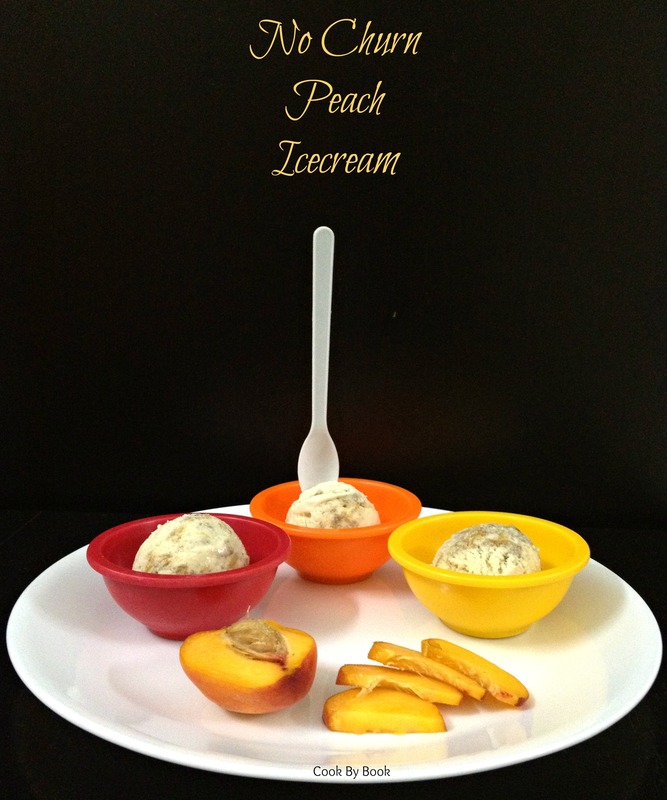 Peaches cooked with brown sugar lends a caramelized taste to the icecream which I love! It freezes well and is quite easy to scoop too. I photographed it for the blog on the 3rd day of making it and it still scooped perfectly, just like a store-bought or a churned variety!! Plus, it is eggless. 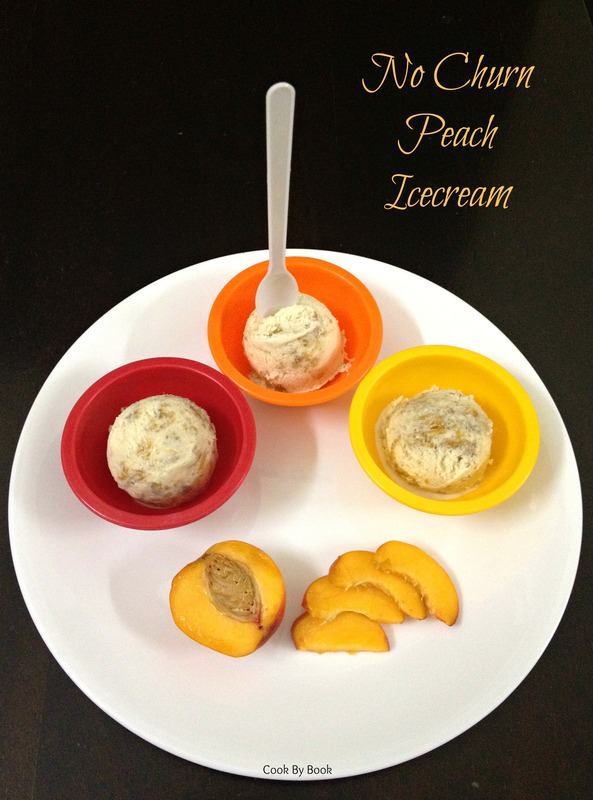 So indulge in this perfect summer treat over the weekend. More update on birthday later! In a medium saucepan over medium-high heat, combine the peaches, brown sugar and salt. Cook until the peaches have softened and the mixture is thick and jam-like, about 17-20 minutes. Mash with a potato masher, stir in the vanilla, cinnamon, nutmeg and condensed milk, and set aside to cool completely. With the hand mixer or stand mixer fitted with the whisk attachment, whip the cream until stiff peaks form, about 2-3 minutes. Gently fold the cooled peach mixture into the whipped cream until just combined. Transfer the mixture to two lidded liter containers (Do not pack it tightly). Freeze for at least 6-7 hours before serving.